Microsoft has launched its new Surface 3 Windows tablet. It is billed as a device to replace your laptop. Here’s the rundown about its UK release date, specifications and price. The Surface 3 starts at £419.99 inc VAT. On the basic version comes 64GB of storage and 2GB of RAM. The 128GB model costs £499.99. This compares with the Surface Pro 3, which starts at £639. The surface 3 tablet will be available in the UK, US, Australia, Austria, Belgium, Canada, Denmark, Finland, France, Germany, Hong Kong, Ireland, Italy, Korea, Luxembourg, Malaysia, the Netherlands, New Zealand, Norway, Portugal, Singapore, Spain, Sweden, Switzerland, Taiwan and Thailand. When does the Surface 3 come out? Preorders can be made today at Microsoft Stores, microsoftstore.com and at some retailers. The Surface 3 will be on sale beginning 5 May with availability in 26 markets by 7 May. As well as the ClearType HD multi-touch display there are stereo speakers with Dolby Audio-enhanced sound. 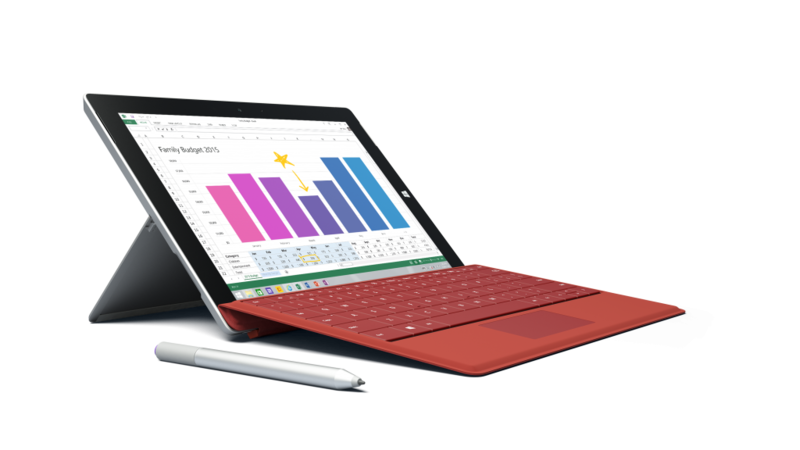 The Surface 3 sports a quad-core Intel Atom x7 processor, a front-facing 3.5-megapixel camera, a rear-facing 8-megapixel camera, a 10-hour battery life and a micro USB charger. Microsoft also plans to release a Surface 3 with 4G LTE mobile broadband functionality. 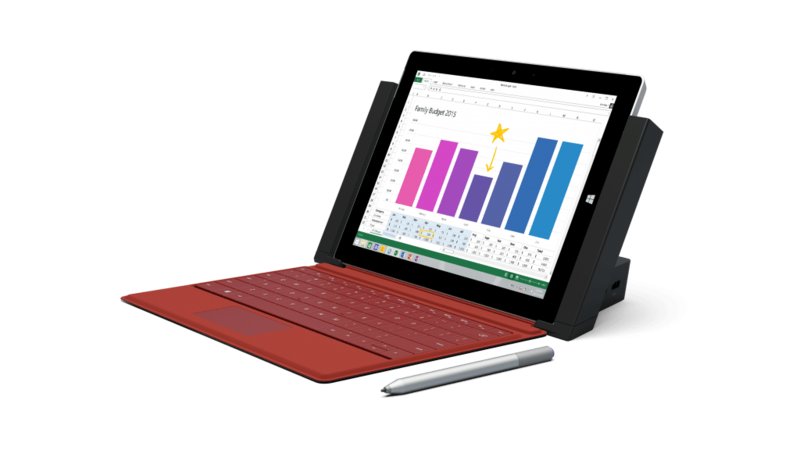 The Surface 3 models boast the same ports as the premium Pro 3 models, comprising a full-size USB 3.0 port, Mini DisplayPort, microSD card reader and Micro USB connection. The Windows 8.1-based tablet has ditched Windows RT, meaning standard Windows applications, including Adobe’s Photoshop and Apple’s iTunes can be installed. The 64-bit Windows 8.1 will also get a free upgrade to Windows 10 when it is released. Unfortunately the stylus pen and keyboard ‘Type Cover’ aren’t included with the tablet and will cost users an extra £155. What the difference between the Surface 3 and the Surface Pro 3? The Pro sports a fourth-gen Intel Core i3, i5 or i7 chip, while the new Surface 3 features a quad-core Intel Atom chip. The Pro also has a 12in 2160×1440 display compared with the smaller, lower- resolution screen of the Surface 3 (10.8in and 1920×1280). The kickstand of the Surface 3 is limited to three positions, while the Pro’s kickstand can be angled at any position. Next articleBest Gaming Mice 2015: Level up now!